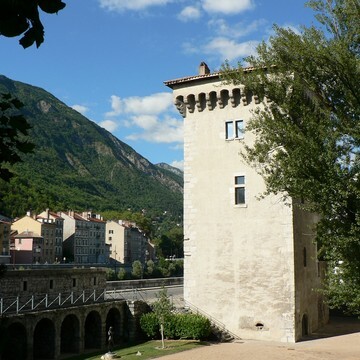 With its collections of ancient, modern and contemporary art, the Musée de Grenoble offers you a chance to traverse the history of western painting from the 13th to the 20th centuries. 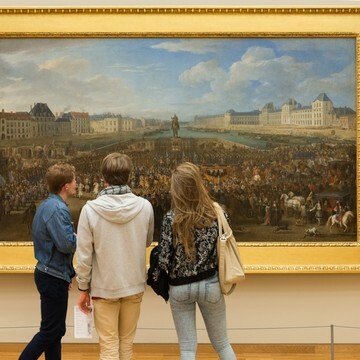 Included are major masterpieces of classical Flemish, Dutch, Italian and Spanish painting; one of 20th century Europe’s richest collections; and all the great post-1945 contemporary art trends, right up to the most recent artworks of the 2000s. Closed exceptionally on January 1st, May 1st and December 25th. Tram B / "Notre-Dame Musée"
Buses 16 and 32 / "Notre-Dame Musée"
Presented in chronological order, the collections, totalling some 800 painted or sculpted works, are arranged into two distinct large sections. The first is devoted to the great painting schools of the 13th to 19th centuries and to 17th century Europe in particular, with artists such as Rubens, Georges de La Tour, Philippe de Champaigne, La Hyre and Zurbarán, who give the antique art collection its rich splendor. The 19th century is illustrated by a set of works ranging from Neo-classicism to Impressionism, graced by such great names as Delacroix, Pradier, Fantin-Latour, Monet and Gauguin. 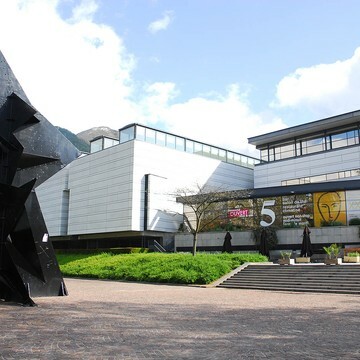 The second section presents 20th century art, with key works by the great names in modern art, including Matisse, Picasso, Léger and Ernst, through to the creators of the contemporary period with works by Soulages, Warhol, Nauman, Boltanski and Schütte who, along with many others, have contributed to the museum’s reputation. This collection is complemented by an extensive collection of drawings, including a number of sheets of great quality. Two of the museum’s rooms are taken up by Egyptian antiquities and Greek and Roman archeology. 49 visites parcours et 17 visites ateliers proposées tout au long de l'année.